National IP Institutes: United we stand. The Brazilian Instituto Nacional da Propriedade Industrial (INPI) informs that the national intellectual property of nine South American countries (Argentina, Brazil, Chile, Colombia, Ecuador, Paraguay, Peru, Suriname and Uruguay) will hold later this year, a pilot project for cooperation in patent examination. This action is part of the project for regional cooperation on patents called Prosur. With joint efforts, the goal is to seek greater efficiency and quality of patent decisions. According to the information the project will work as follows: “300 patent applications in the fields of biotechnology and mechanical engineering will be selected. The patent applications should have been presented in two or more countries (forming part of this project). Thus, examiners of the involved countries will exchange information regarding ‘search and examination’ relevant for the final decision. In the future, the goal is to expand to other areas. A few months back I remember that our cousin blog the IPKat was running a competition: to provide the best explanation of the meaning of the new WIPO logo. At that time I thought of many trade marks –words, and logos, that do not say anything to us, or at least we do not know why the chosen word or logo. I guess this is a point of curiosity – however we must not forget that if the said mark is generic, customary and/or descriptive it cannot be registered. Today I was reading the newspaper and I read the launch of two new beers in Mexico, namely: ‘salamandra’ and ‘purple hand beer’. The article pleased my curiosity because it actually explains why the chosen words for the two beers. The beers are designated to be sold in gay bars and contain a mixture of ale and organic honey. The report continues, ‘purple hand’ takes its name following a 1969 protest against a California newspaper, after several homophobic comments. Those responsible for the news threw purple paint against the demonstrators, who in seeking to oppose the attack got their hands full of ink and placed on the walls of the building. 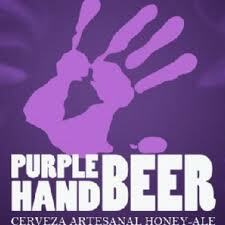 The purple hand is seen as a defence of the rights and freedom of expression of the community. 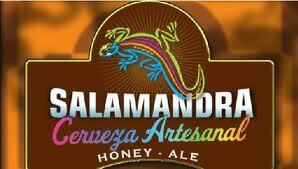 On the other hand, ‘Salamandra’ takes its name from the animal that has the ability to change colours. According to the news, these two new beers are seen as an alternative and so seeking to establish a bond because of the identity they have. Well, I am sure that with this explanation the marks are then suggestive of the targeting market (no the product) and capable of being registered. Yeah, right! Maybe the title is quite strange because of my limitations with English, but that's more or less what is happening in Ecuador in a recent case that Alfonso Rivera (Tobar y Bustamante) has brought to the attention of the IP Tango. 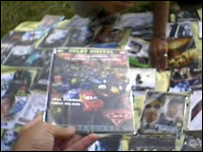 IEPI (Ecuador Institute of Intellectual Property) has seized more than 110.000 counterfeiting products in a recent raid, and some stores were closed. ASECOPAC (an Ecuatorian Association of sellers of Audiovisual products) has submitted a complaint against IEPI because they consider that the raids are in violation of the National Plan for Good Living (sorry I'm translating it literally) and of Art. 325 of the Ecuatorian Constitutions that guarantees everyone's right to work. The case is certainly more complex. But at first sight it seems really curious that such a complaint has been filed. Let's see what happens. I'm sure our colleagues in Ecuador will keep us informed about it. En el marco de un juicio especial sobre nulidad de la transferencia del registro de la marca Picasso, para servicios de las clases 35, 37 y 39 del nomenclátor de Niza, se dictó sentencia de rechazo de recurso de casación en el fondo interpuesto por la parte demandante de nulidad, Indivisión Picasso, compuesta por los dueños de los derechos de propiedad intelectual de la obra del pintor Pablo Picasso, señores Paloma Ruíz-Picasso, Maya Widmaier-Picasso, Marina Ruíz Picasso, Bernard Ruíz-Picasso y Claude Ruíz-Picasso, en contra de la sentencia de segunda instancia, dictada por el Tribunal de Propiedad Industrial, que revocó la decisión de primer grado que daba lugar a la pretensión de nulidad. La doctrina de la Corte Suprema expresa que la factura de venta, emitida por el martillero público a nombre del adjudicatario de una marca comercial en pública subasta, es título suficiente para su anotación al margen del registro a favor del nuevo titular. La especialidad de la ley N° 19.039 sobre propiedad industrial, que contiene el régimen de marcas chileno, no abarca las transferencias forzadas de los derechos de propiedad industrial y, en consecuencia, resultan plenamente aplicables las normas generales sobre enajenación obligada de especies sujetas a un proceso de quiebra (como es el caso) que, en la situación de los bienes incorporales de naturaleza mueble, como ocurre con las marcas comerciales, se rigen por la Ley de Quiebras, actualmente incorporada al Código de Comercio, cuyo artículo 122, dispone que: "Las especies corporales muebles se venderán al martillo y los valores mobiliarios que tengan cotización bursátil, en remate en bolsa de valores", cuyo símil procesal se encuentra en el artículo 482 del Código de Procedimiento Civil, respecto de los bienes muebles embargados. Con el rechazo de la casación, el registro de marca Nº 601576 del Inapi (renovación del registro Nº 365512) quedó a firme a nombre del legítimo adjudicatario, cuyo nombre social contiene un apellido homónimo al signo distintivo. ideas, tech, experience --how to tie them? The Superintendent of Industry and Commerce (SIC) signed an agreement with the Spanish Patent and Trademark Office. With this agreement, the SIC seeks to strengthen its industrial property system technology. It is believed that institutional coordination will promote cooperation between the parties and so exchange views and experiences to strengthen technical assistance, training, and best practices in the industrial property field. To the Superintendent Jose Miguel de la Calle said that "this collaboration between friends, further strengthen SIC as the authority responsible for ensuring the rights of Colombians, both consumers and companies." 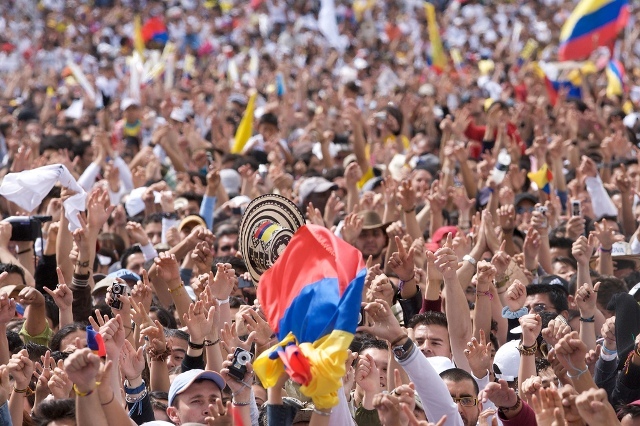 He continues, "we will continue seeking alliances with the best in their jurisdiction to provide all Colombians a peace of mind having an authority that works for them." Colombia and Madrid: the final Act? The 15 January 2011 issue of the INTA Bulletin (Vol. 66 No. 2), which INTA members can now enjoy on INTA's handsomely refurbished website, reports some good news for brand owners in "Colombian Senate Approves Bill 061/2010, Moving Closer to Madrid Accession". It seems that last month a plenary session of the Colombian Senate approved Bill 061/2010, which calls for accession to the Madrid Protocol. This is a reintroduced version of an earlier bill which received support from INTA members. For background see IP Tango posts here, here, here and here. "One of the problems with the Venezuelan trade mark system has been the fact that clients have had to wait for five or more years for a Registration Certificates after the application is granted and they have paid the registration fees. The reason has been that the 1955 IP Law requires in its Article 86 that the Registrar sign the registration certificate. The newly appointed Registrar has published a notice in the Official Bulletin No. 515 of October 1, 2010 that henceforth all Certificates will be issued electronically on the Registry web page www.sapi.gob.ve. This is helpful but is of course illegal. Due to the highly formal nature of Venezuelan law it is suggested that the owners of Venezuelan trade marks request their local agents to take the electronic certificates to the Registrar for signature as is required by Article 86 of the law which reads “The certificate shall be issued in the models prescribed by the Industrial Property Registry Office; it shall be signed by the Registrar and it shall published in the bulletin of the office”". 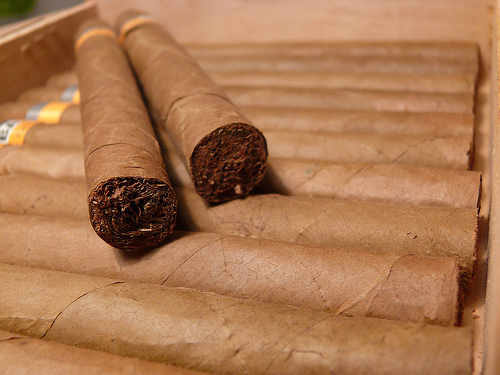 La Corporación cubana Habanos S.A. o Habanos S.A. (La Habana, Cuba), recurrió ante el Tribunal General de la Unión Europea (UE) para la anulación de la resolución que rechazó su oposición y otorgó el reconocimiento en el mercado europeo para la clase 34 del nomeclátor de la marca de tabaco Kiowa, solicitada el 30 de julio de 2004, por considerar que no existe riesgo de confusión con la marca de puros Cohiba, registrada anteriormente, según resolvió la 2° sala de recursos de la Oficina de Armonización del Mercado Interior (OAMI) el 31 de marzo de 2008. La vista del recurso de anulación presentado el 9 de junio de 2008 por Corporación Habanos S.A. contra la OAMI de la UE y la compañía española Tabacos de Centroamérica, empresa comercializadora de los productos Kiowa, tuvo lugar el 18 de enero de 2011. La Corporación Habanos impugnó la decisión por la que la OAMI reconoció la marca Kiowa para la venta en el mercado europeo de tabaco, cigarrillos, puritos y otros artículos para fumadores, según el informe para la vista. 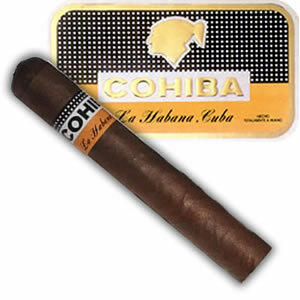 La entidad cubana objetó que la OAMI desestimara el riesgo de confusión entre los signos en conflicto y que no tuviera en cuenta que la marca registrada Cohiba es renombrada. Expuso que los signos distintivos son idénticos desde el punto de vista fonético y en el diseño gráfico de las marcas, pues en el caso de Cohiba aparece un indio americano taíno y en la otra, un indio kiowa. 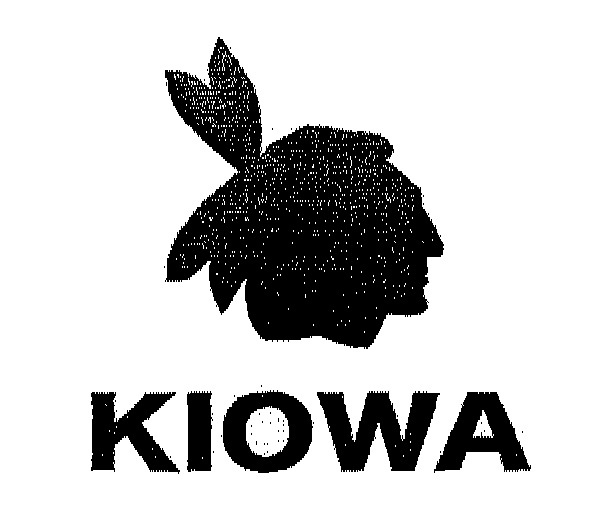 En el caso de la marca "Kiowa", aparece la cabeza mirando hacia la derecha, mientras que en la de Cohiba mira a la izquierda. La sociedad cubana recalcó que Cohiba merece una protección reforzada debido a su prestigio mundial. Por su parte, la OAMI rechazó todos estos argumentos y expuso que los consumidores de tabaco europeos están, por lo general, más atentos e informados cuando adquieren tabaco que cuando compran otros productos. En cuanto a los signos, la oficina registradora europea esgrimió que el público percibirá en la marca Cohiba que el perfil de la cabeza se parece más a una mujer y no a un indio taíno. La OAMI señaló que los términos que motivaron el litigio tienen diferencias conceptuales y que eso basta para contrarrestar "la escasa similitud fonética" entre ambos. INTA's Latin America programme: support it if you can! Latin America has become an important emerging market after the most recent financial crisis, experiencing a fast recovery and larger growth rates. In IP, the result of such growth is seen in the increase in the number of filings in the region and the transformation of several regional companies into global players. Large Latin American corporations now have their own IP departments, but many still outsource a variety of services. Specialized courts have been created, and new IP laws have been recently enacted. 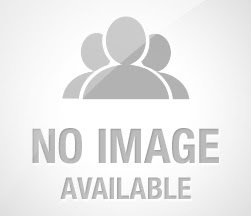 • Trademarks and social media: infringements, case law and fair use. • Keywords and domain names. • How soon will the Madrid Protocol take effect? • The risk of confusion versus the risk of association. • Recent case law on trade dress and three-dimensional mark issues. • The effects of the expansion of broadband Internet access and the booming telecom industry that has increased e-commerce, social media participation and the need to enforce IP rights online. • Damaso A. Pardo, Perez Alati, Grondona, Benites Arntsen and Martinez De Hoz (h) (Argentina)". "The term Latin America was supported by the French Empire of Napoleon III during the French invasion of Mexico, as a way to include France among countries with influence in America and to exclude Anglophone countries". Now for a warning: during the past couple of years INTA has gone to great efforts to put on very good programmes with well-informed, well-prepared speakers -- but these sessions have been very poorly supported by trade mark and IP practitioners from the region. Please support your region! The better attended it is, and the more greatly it is appreciated, the safer this regular slot will be within an increasingly crowded Meeting programme. Chile: Publican libro "Marcas Comerciales, Manual de Procedimiento de INAPI"
Disponible para su adquisición se encuentra el recientemente publicado libro "Marcas comerciales, Manual de Procedimiento" de INAPI, que conforme informa el Inapi es una obra pionera en Latinoamérica que busca facilitar el procedimiento de registro de Marcas y hacer públicos los criterios de la oficina receptora chilena, contribuyendo a elevar los estándares de calidad de los procedimientos marcarios y a brindar mayor seguridad jurídica a los solicitantes. Se trata de la versión en formato libro de las "Directrices de procedimiento de registro de marcas comerciales" de las cuales ya comentamos algunos aspectos jurídicos en este blog. El libro es el resultado de un largo proceso de trabajo por parte del Inapi, en el que se incorporaron consultas públicas a los usuarios, agentes del sistema de propiedad industrial y la comunidad en general. Contiene los criterios utilizados por el órgano registral relativo a los aspectos formales como sustantivos, incorporando casos prácticos como tablas y jurisprudencia para una mayor comprensión cuyo índice es posible consultar online (full text PDF). Finalmente, la oficina de marcas de Chile destaca que este libro "recoge los usos generales aplicados por el Inapi en el análisis y procesamiento de las solicitudes para el registro de marcas, pero no constituye, ni constituirá, una fuente propia de derecho y no deroga ni modifica las disposiciones normativas que regulan los derechos de propiedad industrial". 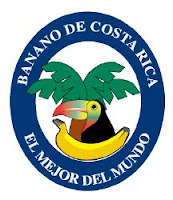 Indicación Geográfica "Banano de Costa Rica"
La Corporación Bananera Nacional (Corbana) obtuvo el registro de la indicación geográfica "Banano de Costa Rica", con la intención de dar el siguiente paso en su registro ante la Unión Europea, siendo el primer país exportador de banano de Centroamérca con este signo distintivo. La indicación geográfica será administrada por un consejo regulador, el cual tendrá la potestad de aprobar su uso. La revisión técnica será efectuada por un comité técnico que informará al consejo regulador para que éste apruebe o rechace la solicitud. El consejo está pendiente de ser nombrado por la junta directiva de Corbana. La producción bananera genera alrededor de 40.000 empleos directos y 100.000 indirectos en el país.El banano representa el 23% del total de exportaciones de Costa Rica a la UE. Con relación a este mercado en el acuerdo de asociación entre Centroamérica y la Unión Europea se incluyó la negociación sobre indicaciones geográficas, por lo que apenas entre en vigencia se podrá solicitar su reconocimiento bajo un proceso abreviado y más expedito. Bélgica, Alemania, Reino Unido, Italia, Suecia, Portugal y Holanda son los principales importadores europeos de banano, de acuerdo con datos de la Promotora del Comercio Exterior (Procomer). En Costa Rica las Indicaciones Geográficas y las Denominaciones de Origen están reguladas principalmente por el Reglamento de las Disposiciones Relativas a las Indicaciones Geográficas y Denominaciones de Origen, contenidas en la Ley de Marcas y Otros Signos Distintivos, Ley N° 7978 del 6 de enero del 2000, desarrollando las normas contenidos en dicha ley marcaria. El sistema de otorgamiento se basa en una inscripción en el Registro de propiedad industrial mediante un procedimiento administrativo. 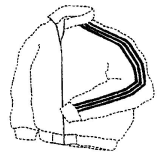 Last November Colombia's Trade Mark Office allowed the registration of two figurative marks consisting of three stripes embedded in clothing, reversing its position in 2001 that the marks were devoid of distinctive character. This decision demonstrates the effect of Article 135 of Andean Community Decision 486 on a Common Industrial Property Regime, which permits registration "where its continued use in a member country by the applicant or assignor has endowed it with a distinctiveness in respect of the products or services to which it is applied.” adidas, having initially failed to obtain registration, was subsequently able to prove that its stripes were distinctive in the light of the company's strong presence in the Colombian market, where it had invested heavily in advertising campaigns and sponsorships -- and more importantly that this had enabled the relevant public to identify the marks with their commercial origin. Evidence submitted by adidas included a market research survey of random urban respondents which showed that 75.8% of those questioned did indeed associate the marks with adidas. When asked why, 99.6% of the respondents answered "due to the stripes and/or due to the three stripes". Further evidence concerning the nature and extent of the use of the stripes, was sufficiently persuasive for the Trade Mark Office to change its mind. Source: "adidas victory as Trademark Office makes U-turn", written for World Trademark Review by Laura Michelsen and Andrés Medina (Triana Uribe & Michelsen, Colombia). El Instituto Nacional de Propiedad Industrial de Chile (Inapi) presentó hoy el proyecto "Plataforma de difusión de la propiedad industrial y transferencia de conocimiento", desarrollado junto con la Unión Europea (UE). El proyecto tiene tres componentes; (a) acceso a guías y manuales de propiedad industrial, (b) realización de cursos a través de e-learning y (c) búsquedas e identificación de información tecnológica en los documentos de patentes a nivel mundial en temáticas asociadas a la reconstrucción del país. El director del Inapi, Maximiliano Santa Cruz, explicó el alcance de la medida y dijo que "esta plataforma espera mejorar el nivel del conocimiento y las prácticas de la propiedad industrial en pymes, universidades, centros de investigación y miembros del poder judicial. Destacó que se busca "fortalecer las capacidades de investigación, desarrollo e innovación con el conocimiento de la propiedad industrial y la información tecnológica universal; contribuir al desarrollo económico a través de la difusión de la información tecnológica universal como medio para impulsar la innovación; además de fortalecer la política de innovación a través del posicionamiento de la propiedad industrial". El proyecto comenzó en octubre de 2010 y tuvo un costo de aproximado de 3,8 millones de euros y es parte del Programa de Innovación y Competitividad UE-Chile. En total, el programa de innovación y competitividad cuenta con un financiamiento de 18,6 millones de euros, aportados en partes iguales por la Unión Europea y el Gobierno de Chile, bajo la coordinación de la Agencia de Cooperación Internacional de Chile (AGCI). El Instituto Nacional de Defensa de la Competencia y de la Protección de la Propiedad Intelectual de Perú (Indecopi) informó el término de un procedimiento de investigación por presuntas prácticas de dumping en las importaciones de cierres de cremallera (zipper) y sus partes desde de Taiwán, sin comprobarse daños en la producción nacional de dicho insumo. Según una resolución de la Comisión de Fiscalización de Dumping y Subsidios del Indecopi publicada el 9 de enero en curso, no se impondrá alguna medida antidumping definitiva contra las importaciones de cierres provenientes de Taiwán. El 22 de octubre del 2009, la comisión dispuso el inicio del procedimiento de investigación mediante resolución 173/2009 por presuntas prácticas de dumping en las exportaciones al Perú de cierres desde Taiwán a solicitud de la empresa peruana Corporación Rey. La Comisión resolvió que el deterioro experimentado en algunos indicadores económicos de la Rama de Producción Nacional (RPN) de cierres y sus partes, podría explicarse por factores distintos a las importaciones, tales como la caída de las ventas de la empresa afectada hacia sus mercados de destino y la contracción de la demanda nacional de cierres y sus partes, registrada en la última parte del período de investigación. Según el Indecopi, entre enero y mayo del 2009, las ventas de cierres y sus partes en el mercado interno peruano se redujeron en un 25 por ciento, mientras que las importaciones de Taiwán disminuyeron en un 27 por ciento. La Universidad de Alicante, a través del Magister Lvcentinvs, viene trabajando desde hace más de quince años de manera muy intensa con muchos docentes y profesionales de la propiedad industrial iberoamericanos, así como con investigadores y estudiantes de postgrado. En el ámbito concreto de las marcas, todos hemos reconocido que uno de los obstáculos que genera ineficiencias en la docencia y en la investigación es la falta de una información fiable, exhaustiva y de fácil acceso sobre legislación, jurisprudencia y doctrina en materia de marcas en Iberoamérica. RIMARCAS nace en la Universidad de Alicante para intentar paliar esta carencia. Su objetivo es crear y gestionar en red una base de datos de acceso gratuito que pueda ofrecer, con la colaboración de todos, un servicio de calidad tanto a investigadores cuanto a docentes, estudiantes y profesionales. Acompañamos a esta convocatoria, un resumen del proyecto y un listado de los profesores fundadores del proyecto, con mención a los Responsables Nacionales. Como primer paso hemos solicitado una ayuda a la Agencia Española de Cooperación Internacional para el Desarrollo (AECID) con vistas a la organización de varios encuentros tanto en España cuanto en América Latina. A lo largo de los encuentros desarrollaremos el concepto y pondremos en funcionamiento RIMARCAS seleccionando a los coordinadores nacionales, a los colaboradores permanentes y desarrollando una tupida red de contactos académicos en todos nuestros países. En estos momentos hemos abierto una convocatoria para la selección de colaboradores nacionales de todos los países de Iberoamérica. Para pertenecer a la red será necesario tener algún tipo de vinculación académica. Estamos convencidos de que RIMARCAS vale la pena y de que con tu aportación podremos hacer realidad los objetivos marcados. Si, como esperamos, estás interesado en participar, te agradeceríamos que pudieras enviarnos con anterioridad al día 31 de enero de 2011 dos documentos: tu Currriculum Vitae -acreditando el requisito académico- y una carta personal de disponibilidad de colaboración con el proyecto. Y/o por FAX al número 34 96 590 9623, a la atención de Dña. Lerdys Heredia Sánchez. Te agradecemos de antemano que nos hayas dedicado unos minutos y que participes con nosotros en este apasionante proyecto. Ex Vicepresidente Oficina Europea de Patentes. Con fecha 6 de diciembre de 2010 se dictó la Circular Nº 5 (full text PDF) del Instituto de Propiedad Industrial de Chile que informa sobre el correcto y eficiente cumplimiento del Tratado de Cooperación en materia de patentes (PCT) en fase nacional. Entre las materias que trata la Circular, destacan las normas relativas al plazo de entrada en Fase Nacional, el plazo de vigencia de los derechos, la publicación de la solicitud nacional, la presentación de documentación ante INAPI como Oficina Designada/Elegida, las modificaciones de la solicitud internacional PCT, la restauración del derecho de prioridad y el restablecimiento de derechos. Según informa el INAPI el texto fue elaborado en base a un trabajo previo y coordinado con diversos operadores del sistema de propiedad industrial, quienes manifestaron sus principales dudas sobre la fase nacional de PCT, recogidas en el documento, lo que potencia su utilidad práctica. In October of last year Puerto Rico's Legislative Assembly approved Act 150 to sponsor and promote the participation of academics, professors and researchers from the University of Puerto Rico in the development of intellectual property and the transfer of technology into industry. The objective of this legislation is to increase research into and the development of technology in Puerto Rico's academic arena, in a broadly similar manner to that in which the Small Business Patent Procedures Act, the Bayh-Dole Act and the Cooperative Research and Technology Enhancement (CREATE) Act of 2004 have functioned in the United States. Previously, University of Puerto Rico professors, researchers and academics were not allowed to license their innovations or work alongside commercial entities. Source and further details: "Puerto RicoTechnology transfer: the way forward", article by Eugenio J Torres-Oyola, Laura Belendez, Maristella Collazo (Ferraiuoli Torres Marchand & Rovira), posted on International Law Office. 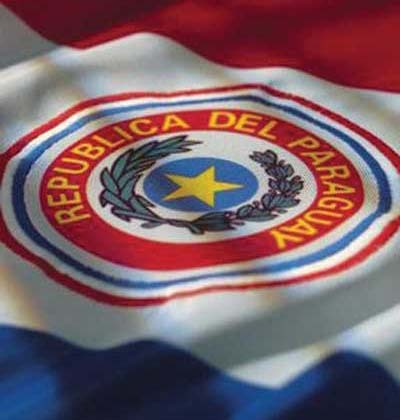 Paraguay – Aprueba marco jurídico para el E-commerce y el E-government. Dicha ley otorga validez jurídica a la firma electrónica, digital, mensajes de datos y el expediente electrónico. El presidente de Paraguay, Fernando Lugo, debe reglamentar el proyecto de ley en un plazo de 90 días contados desde la citada publicación. Seguramente Oscar nos mantendrá oportunamente informados. Toda la información sobre la tramitación del Proyecto aquí. El texto integro de la Ley aquí. Copacabana beach was again the stage of the main venue for the promotion of the Olympic Games in Rio 2016. The Brazilian Olympic Committee (COB) took advantage of the usual New Years’ eve gathering, of about 2 million people on the beach to watch the traditional fireworks display that takes place every 31st. of December, and launched the logo for the Rio 2016 Olympic games. Good marketing strategy!!! The logo was well accepted by the “Cariocas” (Portuguese name for those who are born in the city of Rio de Janeiro) and the general Brazilian population, as the symbol represents very much the warm Brazilian way in receiving tourists in general and will, therefore, be extended to the already awaited foreign athletes: the holding of the hands express this warmth, the friendship and the happiness of the locals. Further to that, it shows the Sugar loaf, which is one of the most important postcards of the city, in a vibrating way, as if it has gained life. The logo was conceived as a sculpture and its design was aimed to be used in 3D as well, to introduce the idea of movement. Therefore it is considered innovative in this regard. Nevertheless, ESPN Brazil (Sports network) placed yesterday in its site (www.espn.com.br/.../167735_RECEM+LANCADA+LOGO+DO+RIO+2016+VIRA+ALVO+DE+SUSPEITAS+DE+PLAGIO) an existing allegation of plagiarism of the new logo for the Rio 2016 Olympic games. 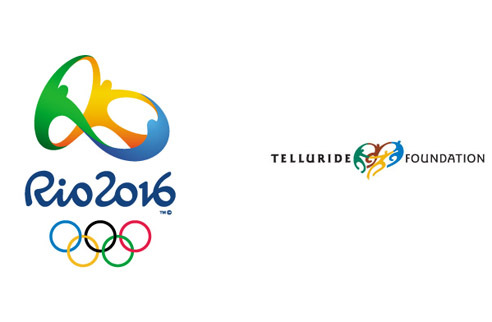 Accordingly, the logo was compared with the Telluride Foundation symbol, which is a philanthropic organization located in the American state of Colorado, and evidences that they are graphically and conceptually alike. Clarifying this IP controversy is an urgent matter, as the exploitation of the Rio 2016 symbol and commercialization of goods with the symbol will be in the market very soon and will, undoubtedly, be exploited, not only by the authorized licensees, but by pirates as well. Action against counterfeiting will need to be initiated urgently.